No part of this information is a substitute for legal advice. If you have questions or believe you have a legal case under Tennessee Landlord Tenant Law, you should contact an attorney. The street address and number of any and all rental units that are being rented, leased or subleased. Stay up to date on Tennessee Landlord Tenant Laws + Save money on tenant screening and other property management needs. Join AAOA today, it’s FREE! Deadline for Returning Security Deposit: The landlord must return a tenant’s security deposit within 30 days pursuant to Tenn. Code Ann. §66-28-301(g)(1). Nonrefundable Deposits: There is no statute. Interest on Security Deposit: There is no statute. Separate Security Deposit Bank Account: Tennessee requires a separate security bank account pursuant to Tenn. Code Ann. §66-28-301(a). Pet Deposits and Additional Fees: Tennessee has no statute. Advanced Notice of Withholding: Required by Tennessee law pursuant to Tenn. Code Ann § 66-28-301(b)(2)(A). Move Out Checklist and Itemized List of Damages/Charges: Landlords are required to present this tenants according to Tenn. Code Ann. §66-28-301(b)(2). Joint Inspection Upon Vacating: This is required if the tenant requests it pursuant to Tenn. Code Ann. §66-28-301(b)(1)(B). Record Keeping of Deposit Withholdings: Tennessee has no statute. Receipt of Deposit: Tennessee has no statute. Failure to Comply: Tennessee has no statute. Rent is Due: Rent is due promptly on the first of each month unless another date is agreed upon by both the renter and the landlord. This can be prorated on a day-to-day basis pursuant to Tenn. Code Ann §66-28-201(c). Rent Increase Notice: Tennessee has no statute concerning a rent increase notice. Late Fees: Late fees are not to exceed 10 percent of the total amount of past due rent pursuant to Tenn. Code Ann. §66-28-201(d). Prepaid Rent: Tennessee has no statute concerning prepaid rent. Returned Check Fees: In accordance with Tenn. Code Ann. §47-29-102, landlords can charge a $30 returned check fee. Withholding Rent for Failure to Provide Essential Services/Utilities (Heat, Electric, Water, etc. ): Yes pursuant to Tenn. Code Ann. §66-25-502. Tenant Allowed to Repair and Deduct Rent: Yes in pursuant to Tenn. Code Ann. §66-28-502. Landlord Allowed to Recover Attorney and Court Fees: Yes pursuant to Tenn. Code Ann. §66-28-512(c). Landlord Must Make a Reasonable Attempt to Mitigate Damages as well as Rerent: Yes in pursuant to Tenn. Code Ann. §66-28-507. Notice to Terminate Tenancy – Fixed End Date Lease: Tennessee has no statute due to the fact that on the final date the lease simply expires. Notice to Terminate Tenancy – Mont to Month Lease: 30 days pursuant to Tenn. Code Ann. §66-28-512(b). Notice to Terminate Tenancy – Week to Week Lease: 10 days pursuant to Tenn. Code Ann. §66-28-512(a). Notice to Terminate Tenancy for Noncompliance by Landlord: 14 days pursuant to Tenn. Code Ann. §66-28-501. Termination for Nonpayment: Statute allows 14 days to remedy pursuant to Tenn. Code Ann. §66-7-109 and 30 days to vacate the premises pursuant to Tenn. Code Ann. §66-28-505. Termination for Lease Violation: 30 days pursuant to statutes Tenn. Code Ann. §66-7-109 and Tenn. Code Ann. §66-28-505. Termination for Drug-related Criminal Acts or Violent Behavior: Statute allows 3 days pursuant to Tenn. Code Ann. §66-7-109(d). Termination for Substance or Prostitution Violations: Statute allows for immediate termination pursuant to Tenn. Code Ann. §66-7-107(a). Required Notice Before Entry: Tennessee has no statute in place but suggests 24 hours notice. Entry Allowed with Notice for Maintenance and Repairs (non-emergency): Yes pursuant to Tenn. Code Ann. §66-28-403(a). Entry Allowed with Notice for Showings: Yes. Statutes allow for entry with notice within the final 30 (thirty) days of the end of the lease. The landlord must provide 24 hours notice to show the property if it is specified within the terms of the agreement pursuant to Tenn. Code Ann. §66-28-403(e)(5). Emergency Entrance Allowed without Notice: Yes pursuant to Tenn. Code Ann. §66-28-403(b). Notice of the Date and Time of the Move-out Inspection: Tennessee has no statute. Entry Allowed During Tenant’s Extended Absence: Yes pursuant to Tenn. Code Ann. §66-28-507. Notice to Tenant’s for Pesticide Use: Tennessee has no statutes. Lockouts Allowed: No lockouts are allowed. Utility Shut-offs Allowed: If it is stated in the lease agreement that the tenant must have the utilities placed in their name and they do not comply within 3 days of moving in, the landlord has the right to terminate the service as long as it is still in their name pursuant to Tenn. Code Ann. §66-28-521. Flat tire(s): One or more missing or flat tires. Dead: The vehicle is unable to be driven under its on power. Broken Glass: One or more broken or missing windows, including windshield or back window. Noncompliance: The tenant has not complied with all state, county and local laws in relation to the titling, licensing, registration and operation for any time longer than 30 days. Notice of Extended Absence: The tenant is required to give the landlord notice of an intended absence that will last longer than 7 days, if it is specified in the lease agreement. If the tenant fails to comply, the are responsible for any and all damages that are caused in their absence pursuant to Tenn. Code Ann. §66-28-407. Abandonment of Premises: The landlord can assume the tenant has abandoned the premise if the following circumstances exist pursuant to Tenn. Code Ann: §66-28-405. The tenant makes no attempt to pay rent for 15 days past the scheduled due date and their is factual evidence that suggests the tenant has permanently vacated the premises. 10 Days: The landlord must give the tenant 10 days notice before claiming their personal property. Relocation of Properties: If the tenant makes no attempt to contact the landlord to gain possession of their belongings, the landlord can remove the tenant’s personal property from the presence and stored for no less than 30 days time. Sale or Disposal of Personal Property: After the required 30 days has elapsed, the landlord can dispose of or sell the tenant’s personal property. The proceeds can then be used to compensate the landlord for any expenses incurred during the abandonment or eviction processes. Lead Disclosure: Tenants must be informed of any possible lead paint hazards and receive a pamphlet from the landlord detailing the dangers associated with possible lead paint contamination. Tennessee has a Tennessee tenant screening background check law in effect that allows landlords to use state data bases to obtain information about an applicant’s past. Driving records, records obtained from the Department of Corrections, court records and a person’s eviction history can be used in the screening process. The information obtained, however, may not be used to alter or change an agreement that is already in place. This information can also be used to alter a lease that is up for renewal or when considering an applicant for approval. 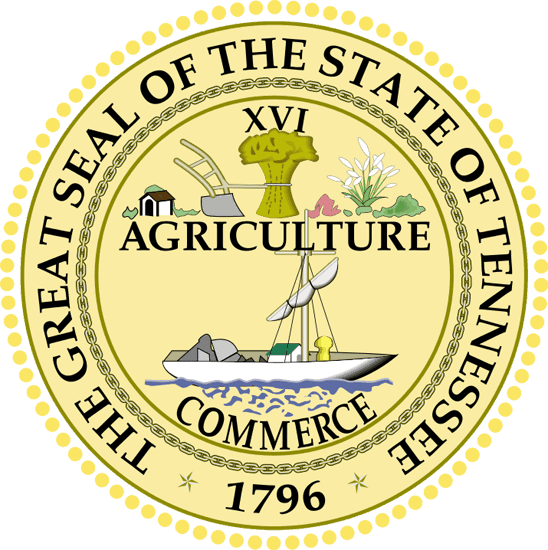 The Tennessee Tenant Screening Law is in place to protect both the tenant and the landlord. There are several landlord forms that pertain to Tennessee landlord tenant law. They can be found online, printed, filled out and filed by the landlord. A few of the forms that will be needed include the Application to Rent, Extension of Lease, HUD Lead Paint Disclosure and Notice of Entry, just to name a few. Check out American Apartment Owners Association’s Tennessee Landlord Forms now. Looking for landlord tenant laws outside of Tennessee? The American Apartment Owners Association offers helpful landlord tenant laws for all 50 states. Click on any of the states listed below and go directly to its landlord tenant law page. To visit the homepage of landlord tenant laws, click here.